The Bangles’ July 27th and 28th shows at City Winery will be the first time the band has performed in Chicago in at least a couple of years. Their first date here falls on the same weekend as my birthday, and since I’ve already purchased my tickets, I can count on a particularly fun celebration this year. This was very thoughtful of them. Other destinations on The Bangles’ itinerary include The Coach House in San Juan Capistrano, CA on June 7th; the LA Pride Festival in Los Angeles, CA on June 8th; City Winery in Napa, CA on June 27th; Slim’s, an all-ages venue run by soulful crooner Boz Scaggs in San Francisco on June 28th; Eastside Cannery and Casino in Las Vegas, NV on July 12th; and City Winery in New York on October 6th. Other dates will be added in the near future. In addition to performing together as The Bangles, Susanna Hoffs, Debbi Peterson, and Vicki Peterson continue to pursue various side projects. Hoffs once again collaborated with Matthew Sweet on a decade-centric Under The Covers CD—Vol. 3 takes them up to the 1980s. She also recently did a solo gig at the Stagecoach Country Music Festival in California. Debbi Peterson performs solo and has joined forces with John Wicks of The Records for a series of live gigs and possibly some recorded material. Vicki Peterson will soon release a CD by Psycho Sisters, her collaboration with Susan Cowsill from The Cowsills. The two also performed together in Continental Drifters, along with Peter Holsapple of The dB’s. Continental Drifters contributed a cover of “I Can’t Let Go” to the Hollies tribute CD, Sing Hollies In Reverse. “I Can’t Let Go” being the song with the line, “I’m the brokenhearted toy you play with.” Funny how it all comes together. 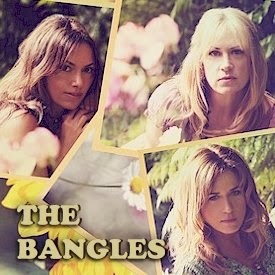 The Bangles will be appearing on the Queen Latifah TV show on May 19th.